You are invited to Stage for Change Woodstock 2018! 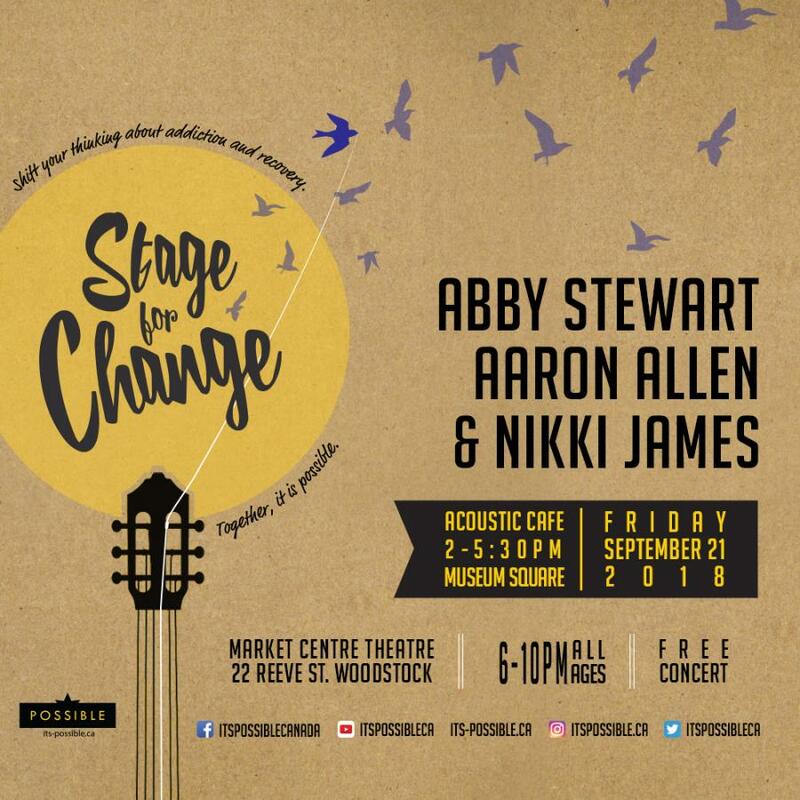 This FREE live music event featuring Abby Stewart, Aaron Allen and Nikki James is all about shifting our thinking about addiction and recovery through music. There will be an ACOUSTIC CAFE from 2:00-5:30pm at Museum Square. Join us for dance, music and more to celebrate artists, leaders and change makers. We will be screening a BRAND NEW music video, recovery video and video on stigma. Don't miss it! The Possible campaign strives to break down the stigma surrounding addiction. It’s about people, choosing to make real change – telling their story and giving us all an understanding through their experiences. Looking forward to a day where the stigma of addiction is gone and the real stories of the heroes of recovery are there to encourage.